The Indian currency had hit its all-time intra-day low of 74.45 against the US dollar on 11 October, 2018, making it one of the Asia's worst performers. 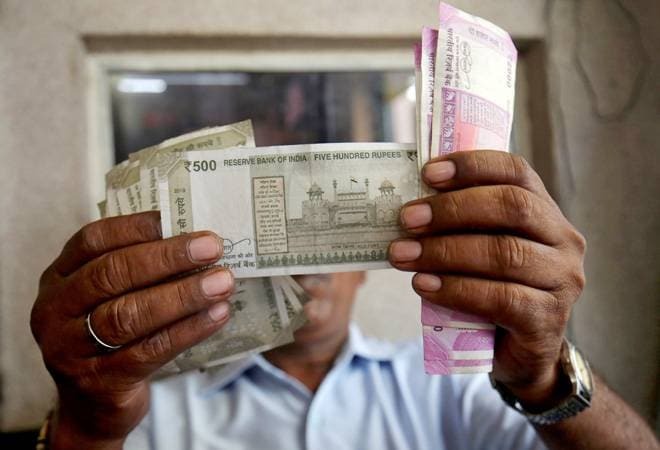 The Indian rupee has witnessed high volatility this year, falling nearly 14 per cent between April to October, as investors dumped the local currency in wake of global headwinds coupled with widening current account deficit led by higher crude oil prices. Adding to it, strong demand for the US currency from importers and foreign fund outflows also weighed on rupee movement. The rupee's recent upward spiral signals that worst might be over for Asia's third-largest economy (for now) as softening crude oil prices, sustained selling of the greenback by exporters and banks, and recovery in the Indian equity markets may give impetus to the local currency. India Ratings, in a publication, said that the global developments such as strengthening of the US dollar, high commodity prices especially of crude oil, tighter monetary conditions in the US, coupled with domestic factors such as expanding current account deficit, inflationary pressures and likely fiscal slippage are together impacting the rupee. The agency expects rupee to average Rs 69.79/$ in FY19 (1HFY19 average: Rs 68.57/$), a depreciation of 8.3 per cent. This is, however, contingent upon mobilisation of $30 billion from non-resident Indian similar to 2013. Depreciation in rupee against the US dollar so far is at a five-year high. However, a longer term view suggests that average depreciation in rupee versus the dollar during FY15-FY19 will be only 3 per cent, which is at par with 20 years average depreciation (FY09-FY18). According to a CRISIL report, on average basis, the decline in rupee is less steep at 7.4 per cent on-year, but still much higher than the trend rate of depreciation, of approximately 2.5 per cent average per year, in the last fifteen years. Strong demand of US dollar: One of the important factors driving down the domestic currency has been strong demand of the US currency from importers and banks and weak condition of regional Asian currencies against greenback. Rising crude oil import bill: Weakening rupee makes our import costlier. Since India depends on imports for large part of crude oil, a weak rupee shoots up the fuel prices. Fed rate hike: The rupee came under pressure after the US Federal Reserve hiked interest rate as it made US treasuries more attractive and also boosted the dollar. The US Federal Reserve has raised its key interest rate four times this year, a move that made the greenback a more attractive bet than other currencies. Fed rate hike impacts India and other emerging economies, because the US is the world's biggest economy and the world's primary reserve currency is still the dollar. Turkey currency crisis: Turmoil in Turkish currency affected Indian currency during the first half of the year after Turkey's central bank struggled to contain its local currency 'Turkish Lira'. Rupee fell to record low levels after Turkey's widening diplomatic spat with the US spooked investors sentiment. Stock market movement: The rupee has been well supported by Indian equity market this year. The Sensex and Nifty look set to close on a positive note despite witnessing volatile phases of trade during the period. The BSE Sensex has logged over 5 per cent gains this year and the Nifty has gained nearly 3 per cent during the same period on the back of strong economic fundamentals and falling crude prices.